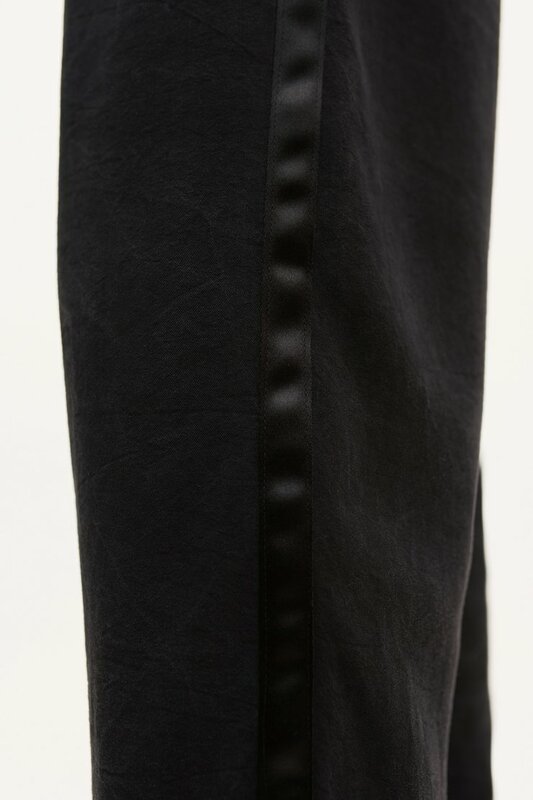 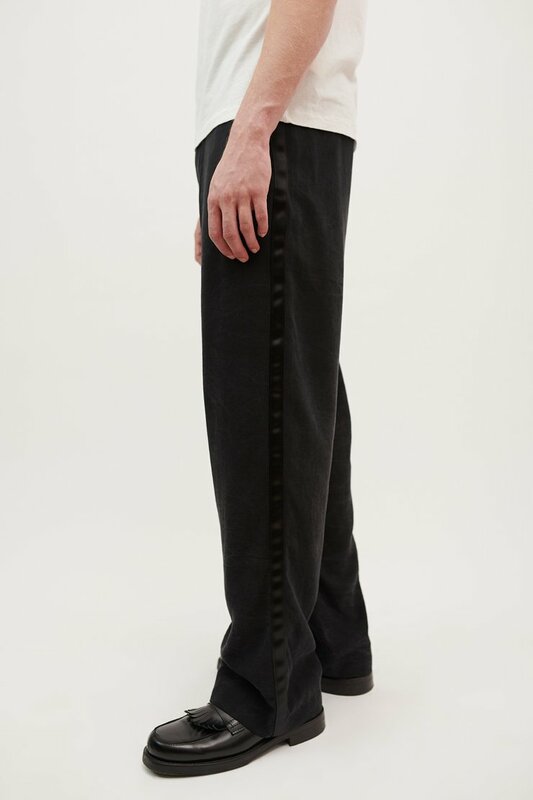 Our Drape Trouser with Side Stripe in Black Silky Wash. 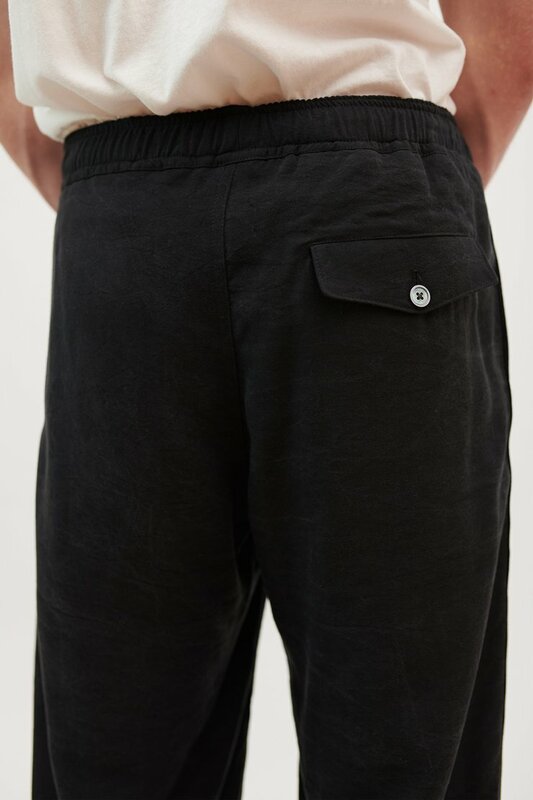 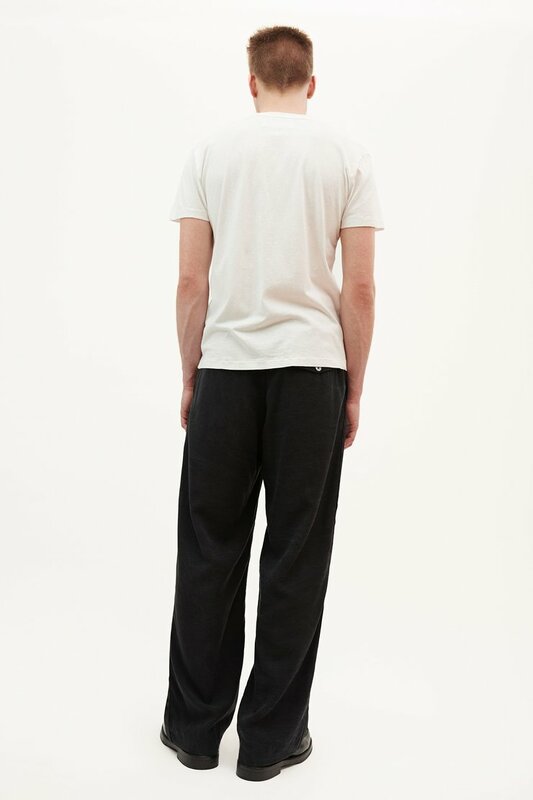 Produced in a silky textured Italian lyocell fabric fabric, our mens Drape Trousers feature a satin side stripe, an elasticated drawstring waistband, jetted side pockets and a flapped rear pocket with mother of pearl button. 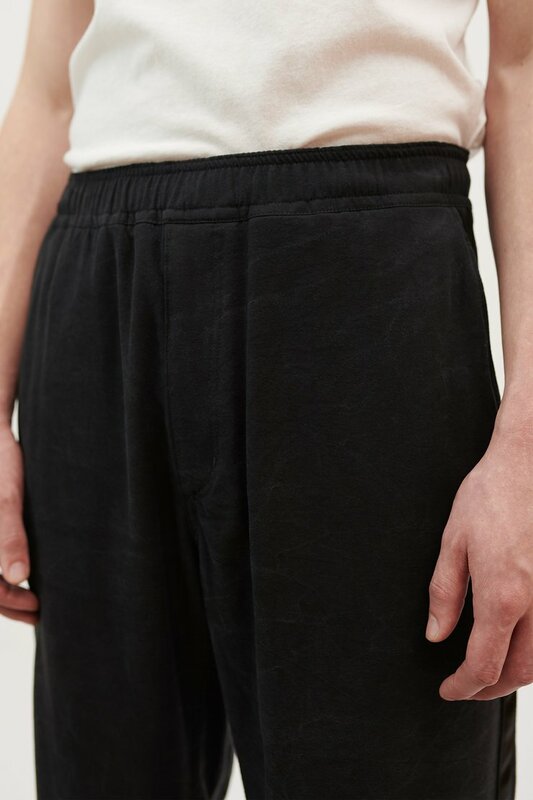 Our Drape Regular Trousers are true to size with an elasticated waist and a relaxed straight cut leg. 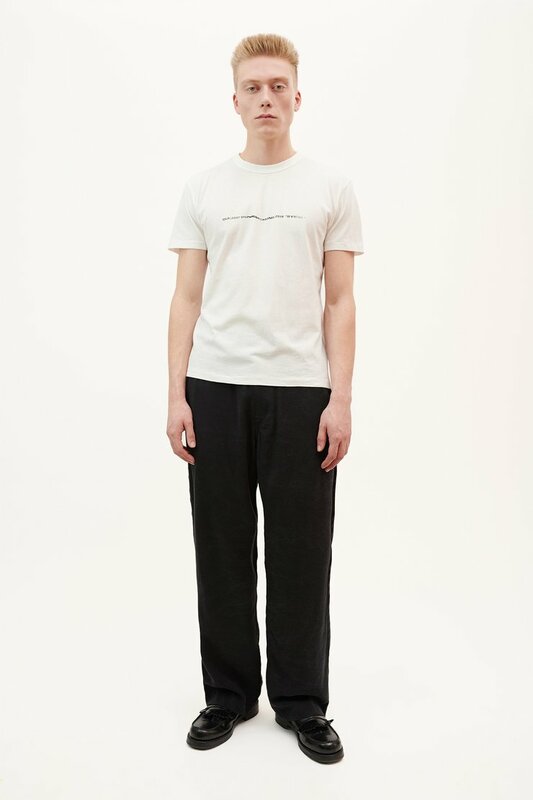 The model is 186 cm tall and is wearing a size 48.